Preparation of Balsamic Vinegar barrels. COS ’ is the “Battery”? 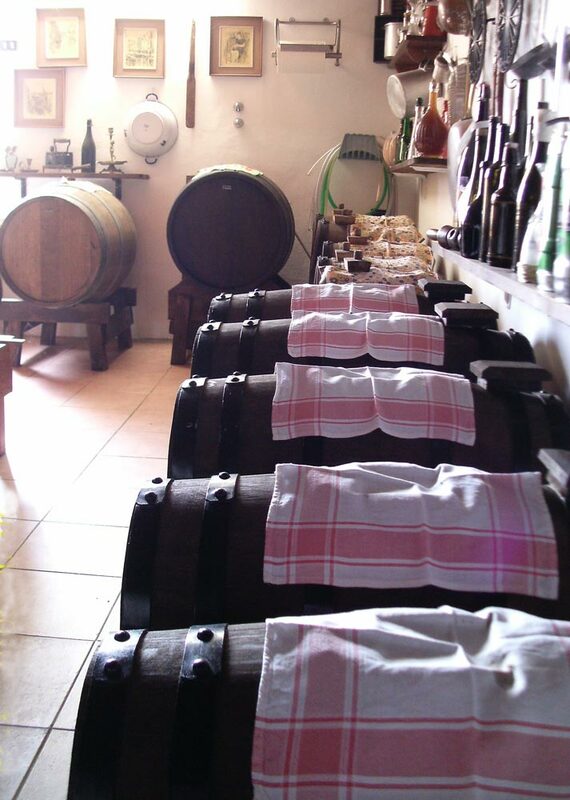 The battery is one of three things, the most important, to derive a “Good Balsamic Vinegar” ! 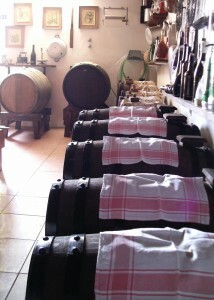 The “Battery” is theset of barrels they serve to make the traditional balsamic vinegar. Without the "Battery", by different Woods and diminishing capacity, You can't make a high quality balsamic vinegar. The product specification requires at least three barrels, of different capacities and with at least two different types of wood but very few familiar producers adopt. Classic battery is composed of 5 most barrels, Maybe upstream, one "Abbess" or "barrel", a large barrel, a barrel for example, to complete the first stage of fermentation. Tends to be, multiple barrels make up the battery is better because the product “new” added upstream, ages more time before arriving in the final barrel, the smallest. A wrong assumption because I believe we should not exceed the number of 9, our batteries are made up of 7 barrels. Better to use new bottles, differently and only if certain, can be used wine barrels used for aging, then, free from mold and rich instead of aromas. The different types of wood normally used by large to small are: Mulberry and Cherry, softwood for the first stage of fermentation processing, Chestnut and ash, timbers of medium hardness for the intermediate stage of maturation, Oak, Robinia and again oak and then, of your choice, Juniper for the phase of aging. The Juniper, characteristic aroma and taste and pungent, "original", It is typical of balsamic vinegar Cheese. Can also be used barrels Acacia, the so called black locust, Balsamic Apple or Pear flavors and fragrances to make aging details. As for the scaling of barrels, simplifying, you could say that the first barrel, the smallest, the number 1, cannot be less than capacity 10 liters while the largest can reach the ability to 80 litres with a scalar progression intermediate. 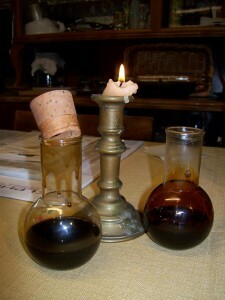 The flask, and the indispensable ’ candle, for the dell ’ organoleptic ’ vinegar. The result of your work you will be able to evaluate after a decade, After scholars racking and patients expectations, through the organoleptic test content, to see if l ’ visual appearance, l ’ gustatory and olfactory, popularity can be for you and your guests.